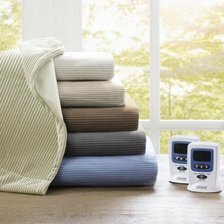 Pros This very soft blanket comes with dual temperature controls, automatic shutoff, energy saving features, and is machine washable. Cons On the more expensive end, but the 5 year warranty will make sure you don't lose your investment. 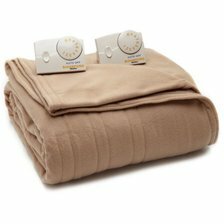 Summary The best electric blanket on the market right now. Offers an incredible set of features backed by a very solid warranty. Pros Dual temperature controls with 20 settings. Automatic shutoff feature, machine washable. Cons A bit on the expensive side and not quite as soft as competing blankets. Summary Very solid construction and good quality control result in a very serviceable blanket. Pros Very comfortable, machine washable, offers convenient "preheating" and energy saving settings. Cons A bit on the expensive side. 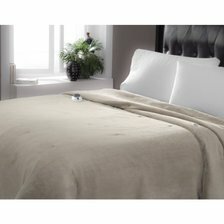 Dual temperature controls only available in queen size or larger. No automatic shutoff. Summary A little pricey, but a solid performer and great quality control mean this is a blanket that will last. Pros Offers dual temperature controls, machine washable, automatic shutoff, and comes with a five-year warranty. Cons Quality control issues and customer service reps are hard to reach. Summary Very good blanket if you get a reliable one, but taking advantage of the warranty is tough if you get a bad blanket due to poor customer service. Pros Very even heating, soft yet durable. Automatic shutoff feature, machine washable. Cons Does not have the dual temperature controls of some other blankets. Summary The best value for your money. It's hard to overstate the importance of even heating, and this blanket nails it.